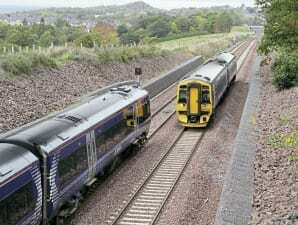 MEMBERS of the Campaign for Borders Rail (CBR) are pressing for improvements, with services on the new £300million line having suffered delays and reliability problems. The CBR says there have been signal, track circuit and axle counter failures that have halted trains, as well as faults in fibre optic cables. There have also been DMU failures in the Class 158 fleet, and crewing issues, leading to cancellations.